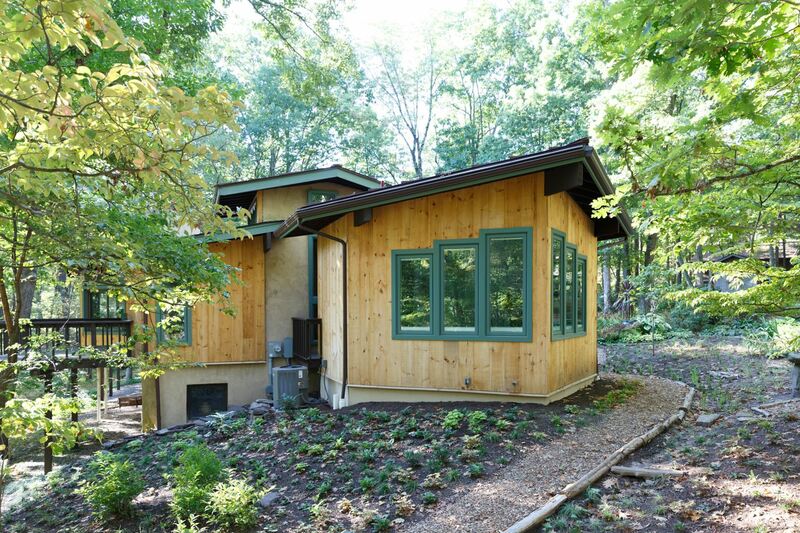 Converting a contemporary 1974 starter home to an aging-in-place retirement structure required building an addition with an extended master bedroom and expanded master bath with safety and energy efficient features. The addition should follow the contemporary lines of the existing home and appear to be part of the original structure. To accomplish their desires and needs, the floor transitions with out lips from the bedroom hardwood, to the tile bathroom floor, to the glass enclosed shower. The smooth transition is important as aging-in-place for safety using walkers or wheelchairs in the future. The building services were relocated to accomplish the addition and radiant heat installed in the floor, eliminating the need for carpets or rugs that can cause slips or falls. 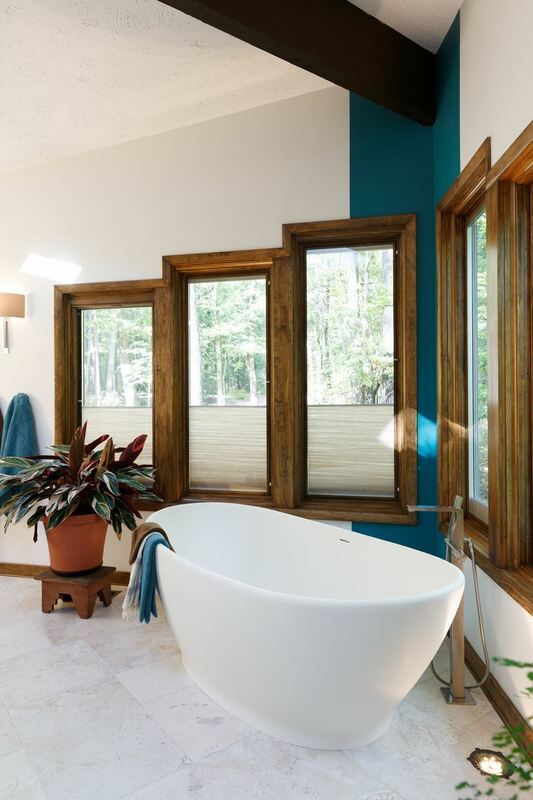 Vertical windows increase the natural light to the area and discreet downlighting illuminates the floor for nighttime safety. To accomplish the homeowners desires and needs, and budgetary constraints, Distinctive Interior Design recommended refacing the cabinets. But, several custom features were implemented to create the aesthetic upgrade and increased function of the kitchen. With refacing the cabinet boxes and providing new doors and drawers, the homeowners saved 50 percent over new cabinets and could use the savings elsewhere in the remodel. The custom stove hood was designed and constructed to provide a focal point. Storage solutions included roll-out shelves and lazy susans inside the cabinets. 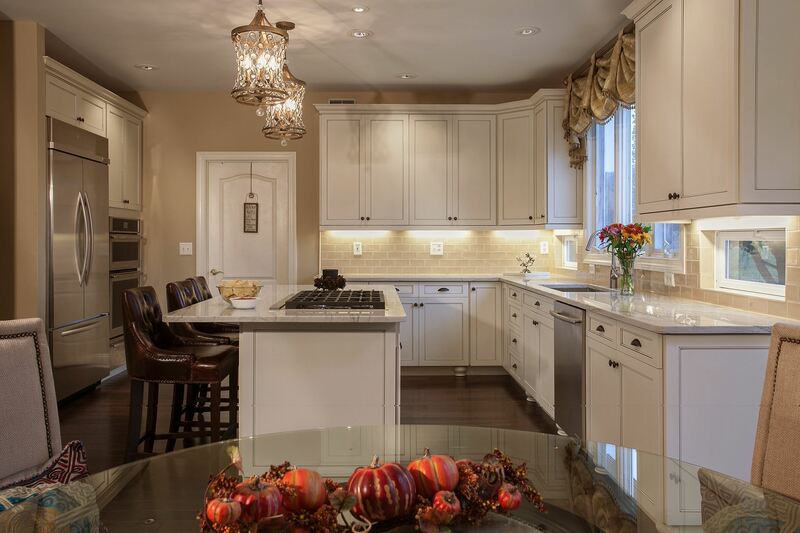 New countertops and backsplashes complete the remodel with textural interest. 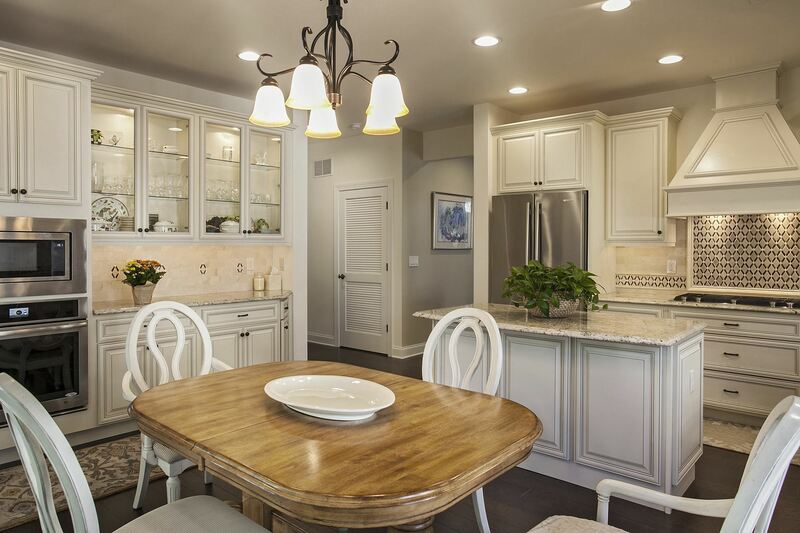 This new kitchen enriches the home’s overall décor and maximizes storage and functionality within the room. Creating a built-in wine storage cabinet eliminated the need for the stand-alone unit blocking traffic flow. Existing glass block windows were replaced with awning windows that now offer fresh air and full natural light into the room. Undercabinet task lighting improves the efficiency of the kitchen. With new cabinets, backsplash and countertops, the kitchen performs as beautifully as it looks.